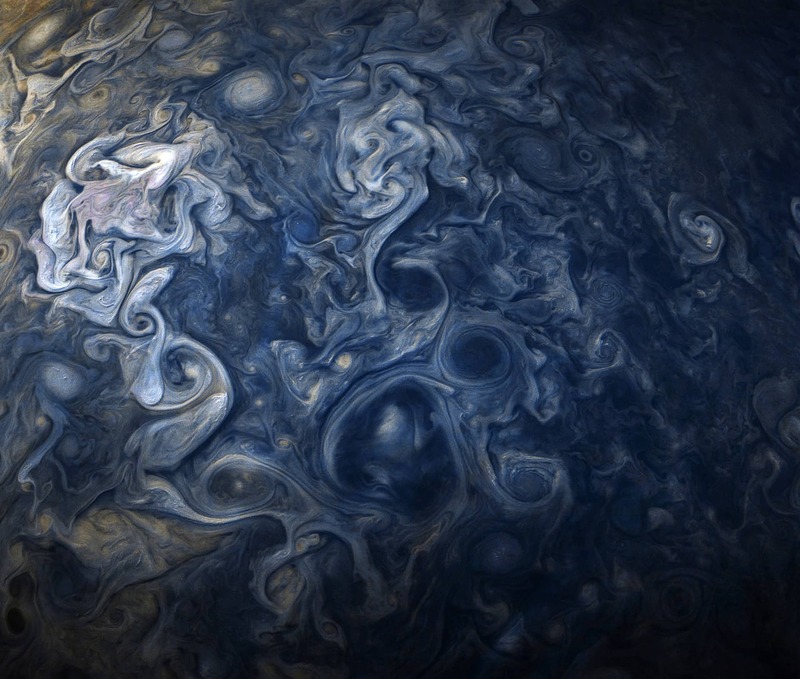 We've featured many NASA photos of Jupiter over the years, and in looking at their newest shot of the gas giant, it's understandable why. As you can see above, the swirling clouds on the planet create beautiful patterns in the planet's atmosphere. This particular close-up is of Jupiter's North-North Temperate Belt, which is just one of the planet's eye-catching cloud bands. 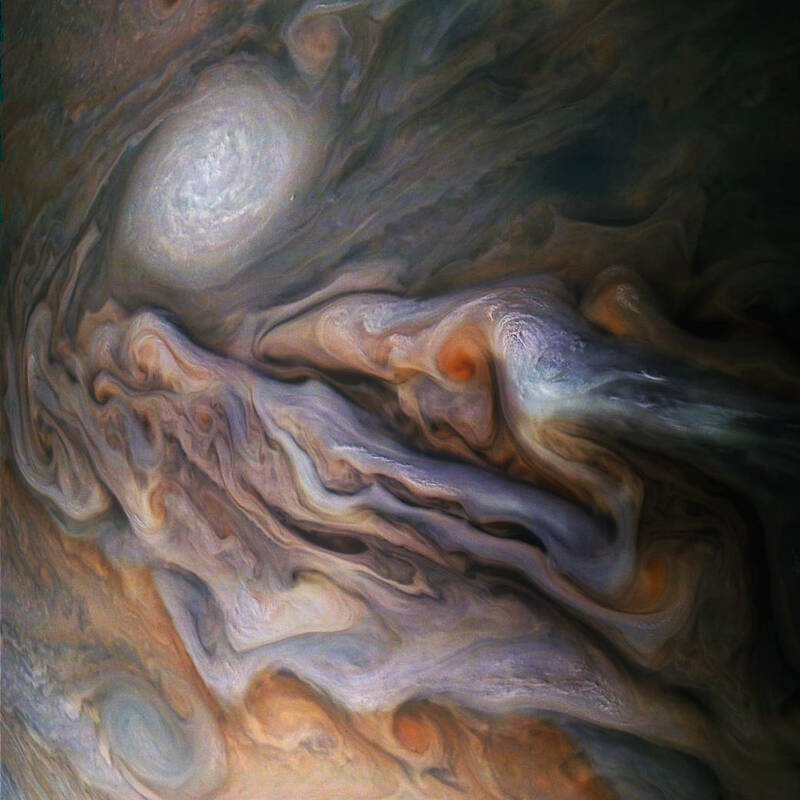 The image was taken on October 29th, 2018 by NASA's Juno Spacecraft as it made its 16th flyby of Jupiter from a distance of 4,400 miles above the clouds. Though that sounds like a really far distance, it's actually an incredibly close flyby given that Jupiter is nearly 87,000 miles in diameter. The image above, by contrast, was taken from nearly 12,000 miles away, though all things considered, that's still quite a close flyby. In this case, the clouds were rendered blue and yellow to give it a marble-like appearance. Like I said, Jupiter's atmosphere knows how to put on a show! To see more images of Jupiter and to learn more about Juno's mission, visit the NASA mission page.